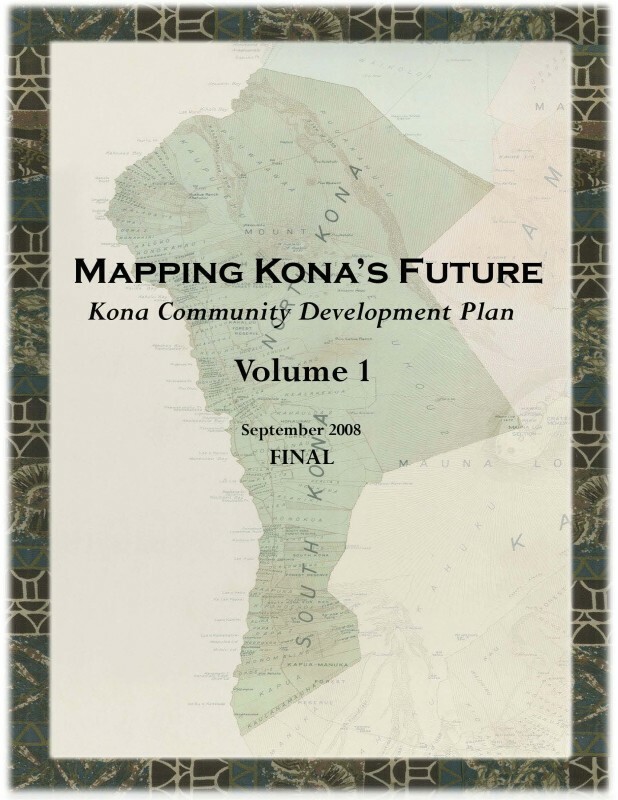 The Kona Community Development Plan (CDP) was the first CDP to be enacted under the County of Hawaii’s Updated General Plan and was designed to be a model for subsequent CDPs in other regions of the island. 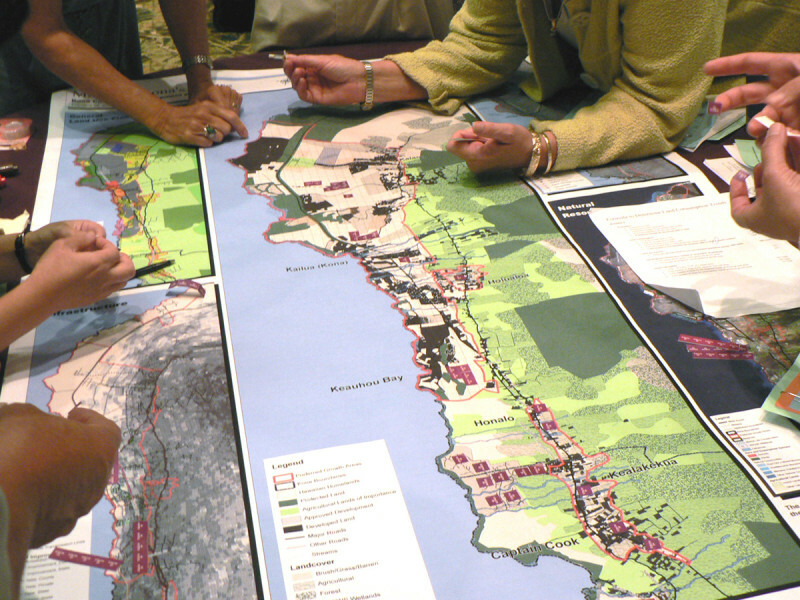 The Kona CDP centers around a community visioning process supported by visual simulation technology to develop a performance based plan. There were many opportunities for the public to participate in the formulation of the CDP. 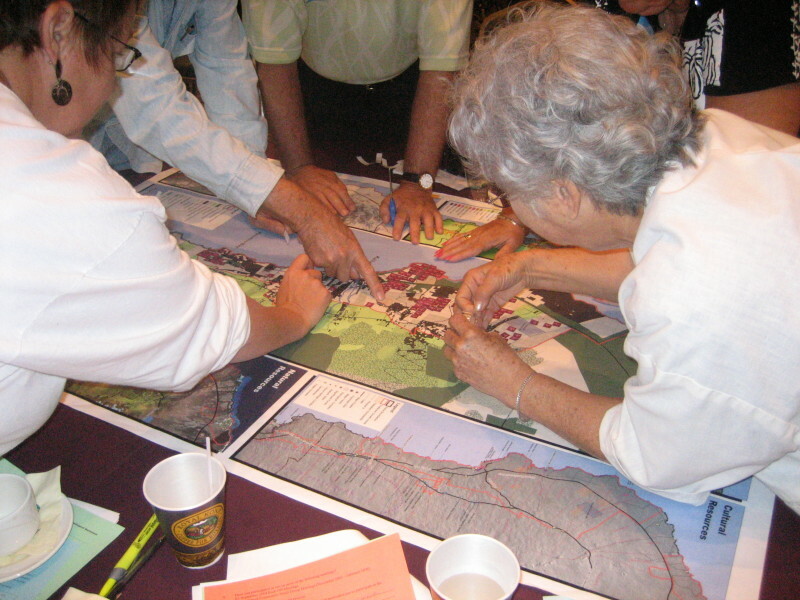 By involving the public extensively in the process, the CDP did not only embody the community’s vision in decisions related to policy and public investments, it defined how the community wanted to manage the future growth, and garner support for its implementation. Nearly 1,000 people have participated to date in the process.